19.00h Activities for children: inflatable and mechanical bull. 23,00h Coronation of the Queen of the Feasts of the Sacred Heart of Jesus, Miss Inma Alarcón Torres. 24.00h Mobile Disco with DJ Elías Gutiérrez. 11.00h III Exhibition of Antique Cars by the Club of the 600 and Classics of Orihuela and Vega Baja. 12.00h Performance of the group 'MAD JUNGLE' (Hard Rock). 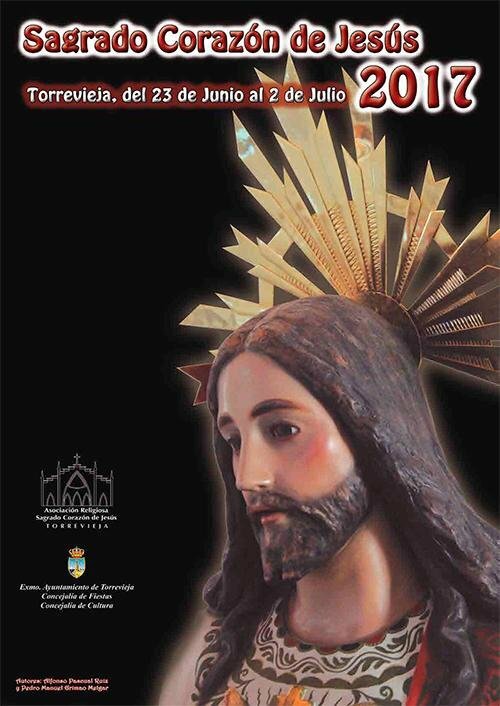 21.15h Solemn Procession in Honour of the Immaculate Heart of Mary and the Sacred Heart of Jesus, accompanied by the Musical Society 'Ciudad de Torrevieja Los Salerosos', Fireworks in the Paseo Juan Aparicio.